I first met Brett in 2013. After a few weeks of getting to know the guy, things became very clear about Brett’s tardiness. Whether it was arranging meet ups to skate, a chilled one or just a night out, friendship with Brett became something of a waiting game. “I’ll be there in 10” text messages would come, two hours later and he would still be nowhere to be seen. It became abundantly clear that he was crap at time keeping. It’s ironic for a guy who is so intrigued by making watches! 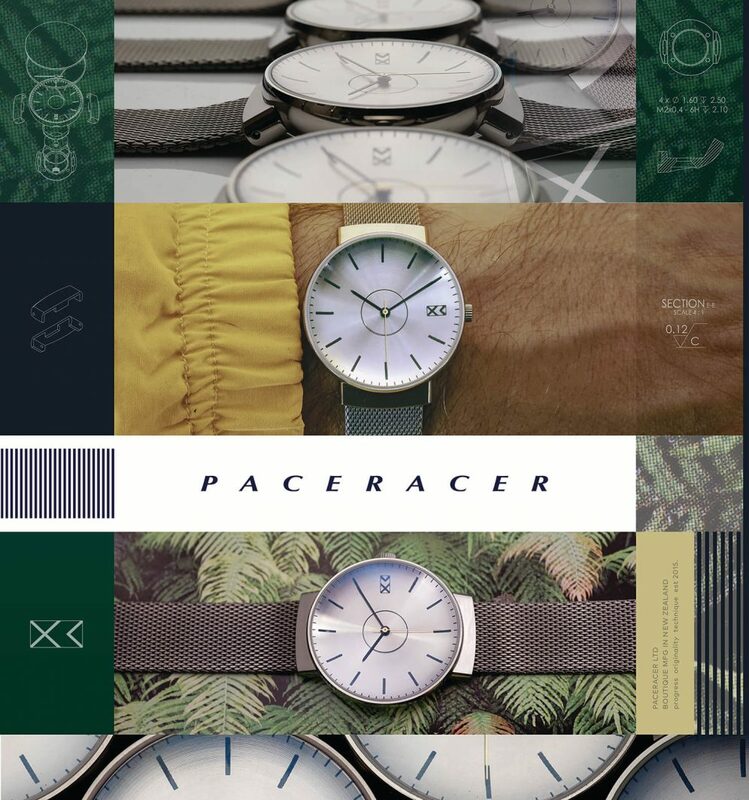 Fast forward to 2018 and his brand Paceracer has launched the first run of its debut watch, the Sangfroid”. It sold out almost instantly. To top that, the watch was nominated as a finalist in The Designers Institute of New Zealand’s Best Awards. This is a different career path for a skater to follow, how did you get into it? 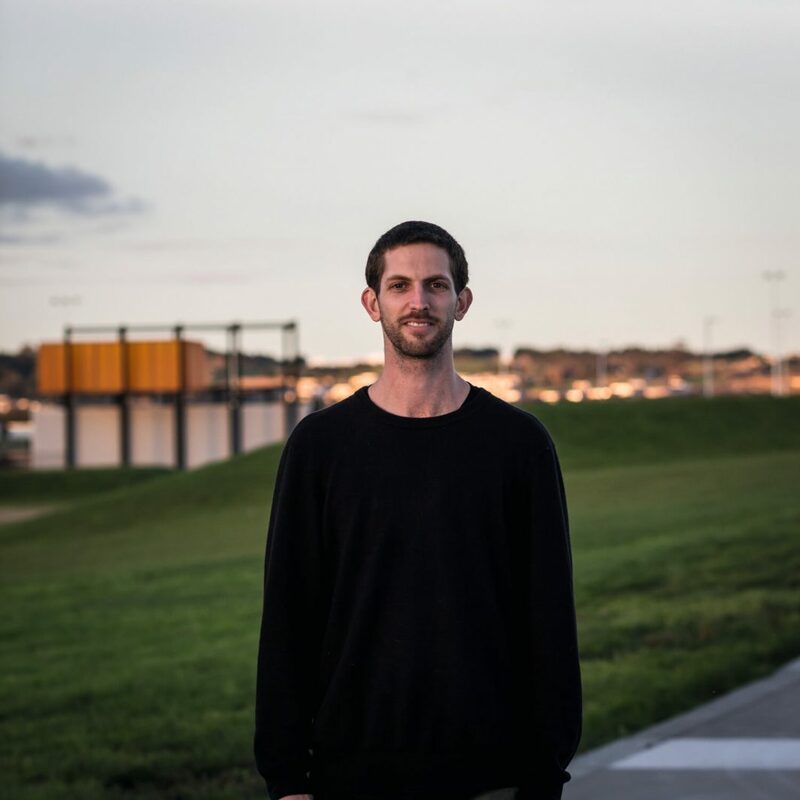 I never thought about going to Uni and just wanted to move to Melbourne with my mate Luke [Gallant] who had just moved over. I was 18 and Mum convinced me to stay. I didn’t even pass high school, so I had no skills I needed to get in to a Uni. I heard about a workshop at AUT that was run by Andrew Withell. I couldn’t even use Adobe. He showed me the studio, and I got to see people making things they liked. He asked if I can sketch. I spent the next week drawing different bits of photos I was into! I eventually got accepted. Can you give me a bit more of an insight into product design? There are two styles. There is product design and industrial design which is more about mass production. Product design is more of an art form. To put my finger on it, it’s all about aesthetics – how to make something physical from an idea. You need to work out what it’s going to be made out of. For a chair, the go-to is wood. Grab some tools and put it together. Want to make it thinner or lighter? Wood might not be the easiest way, you can’t form wood as easy as you can with metal. You can then take that sheet of metal and press the same shape 500 times. If you asked me this six months ago, I wouldn’t have known what to say. But the thing I’ve realized is that there is this whole process to it all. Its a physical thing. The process was similar to filming a video part. It’s all an accumulation of individual tricks and techniques . It sounds like a bit of a cliché but it’s kind of true. What got me there was doing something I really liked. It took a lot of time and research but I loved doing it. If you enjoy something it’s not a struggle to get there, even if the process is long. How did you find the response after announcing the Sangfroid? It’s been insane. It took some time, but I eventually got to the point where I could show it, not sell it, but to see if people were interested in knowing more. I called each person who reached out and ordered a watch from the Inaugural batch to have a yarn about the watch, their work and what they get up to themselves. I work in a corporate environment which often involves a very different approach. In work I like the design, manufacturing and the branding end of things. With Paceracer I focus on tying those three aspects together. It’s great to get a response from other likeminded people, who are on their own paths of creativity because they appreciate the subtleties and the challenges. What was the reaction from everyone you gave one to? When it started all the sales were private and there was no advertising. People were waiting two to three months for me to make the watches. Every watch took hours to make. There was no way I was going to put any of these watches on a courier and I didn’t know if I was going to make any more. I wanted to give them away in person and decided I need to hand deliver them. A couple of the buyers were in Wellington, a few scattered around Auckland, Hamilton and even Amsterdam. Each person got to hear about the story, either over the phone or through Instagram. When I went and delivered Sangfroid, I got to have a chat with the buyers and to find out what they thought. Where did the name Sangfroid come from? Am I even pronouncing it right? You were a finalist in the Best awards. How did that come about? It was pretty easy actually. You just pay an entry fee. I bet you thought it was more romantic? A month before the finalists are announced there is a hurdle to get over. Firstly, you enter the product by images, then write a piece of text. You get judged by a panel, which takes about a week, then you wait until they announce the finalists. They said they were going to announce the finalists on the 22nd of September and nothing came through. Then a day after… it came through. I had a look and saw my watch. I couldn’t keep the smile off my face. To enter the awards was a big goal for me, I had to build myself up to it for about six months. The Best awards were a milestone, giving me a date to complete the Inaugural batch. I didn’t have a completion date in mind yet and this seemed like a realistic timeline for the whole thing. That’s where the 20 watches came from. Getting them made enabled opportunities to refine it, and to take photos and film the process. Now I have heaps! Seriously, I have an entire week’s worth of footage of a machine cutting the watch components. Who do you want to wear the watch? The people who have been interested in it so far are other designers and artists. So far people are liking what it’s about just as much as what it is. The whole thing I want is for the owner to appreciate its aesthetics. Twenty are out in the wild, What’s in the future? Heavy question. I guess the benchmark is after making 20 is to make 20 or 30 more. There are other designs I’ve worked on, but at the moment I’m working on the second batch, the Partisans batch. When making something the second time the processes become a lot more intentional. This batch will be different and I want to apply a new surface finish technique. I learnt early on that it’s difficult to make watches in New Zealand. If you ask someone to make a part they say it’s too small, and the next person says it’s even smaller. Suppliers here are not set up to make watches in the traditional way they’re meant to be made. I took that on board, and the way the watch came to be is not the traditional method. NZ is pretty special because we have engineers, scientists, and the capability to make anything – but because we’re small, we‘re limited. Not because we can’t make it, just because we haven’t needed to yet. We’re more than capable of making whatever we want, there just isn’t the demand. I was lucky enough to realise this in my line of work before I started. I was excited about this from the beginning – just to keep the watch a certain form and aesthetic. The finishes of the metals and even the printing of the graphics came out a certain way to due the capability of the local suppliers. The people who helped bring it all together made it reflect the location and where it came from. Brett Band, backside flip, Auckland. Photo by Kingsley Attwood.